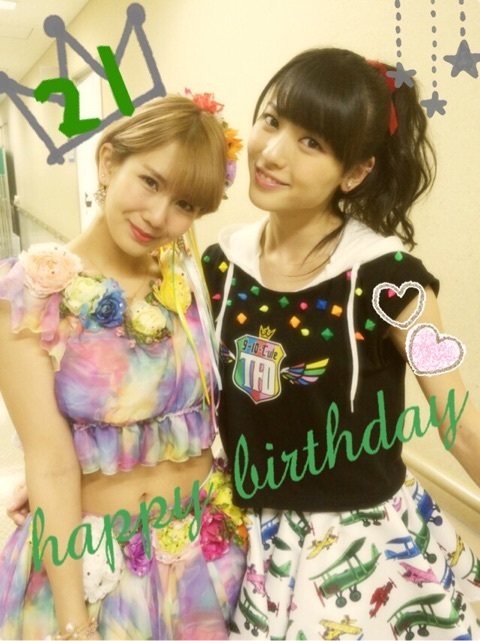 Maimi wishes a fellow ℃-ute member a happy birthday in her June 21st update “Oka-chan☆21“. Full translation below. “Is she celebrating her birthday with the fans on the fan club Nagano tour right now? Is she having fun ? so she has a strong desire to please people! I feel like the gap between Chisato’s powerful singing voice and her sparkling smile when she’s talking is cool !! Posted on June 21, 2015, in Blog, Translations and tagged Yajima Maimi. Bookmark the permalink. Leave a comment.